I hope you are all well. I have had a wonderful summer in Britain and am now finalising my packing ready to go back to Kigali next week. I often say how lucky we are with volunteers who give up their time and share their expertise freely. 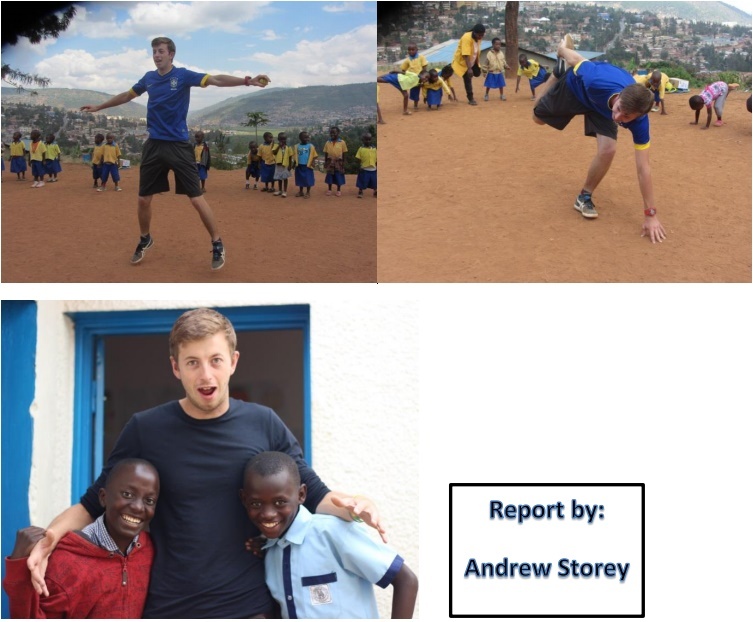 Our news for August has been written by Andrew Storey who has worked with us for many months, interspersed with a fundraising climb of Mt Kilimanjaro, a visit to South Africa with the National Cricket Team and a white-water rafting adventure in Uganda. He has written, at my request about sport and what we try to offer the children. sport, art, music are not on the main curriculum of Rwandan Primary schools and we try to offer as much as possible because we know how important it is in so many ways. On behalf of all staff and children I thank him for all his hard work and enthusiasm and I know that one of the questions I will be asked when I get back will be ‘when is Andrew coming back?’Andrew, you are more than welcome to return anytime! This year the teachers at the Meg Foundation have tried to increase the amount of sport and physical education the kids undertake. This has been helped by the sports equipment that they received from the UK. Written below are a few accounts of the different sporting activities that have been going on at Meg Foundation in the past year. It’s really important that they are provided with access to sport at the school because other opportunities in the community to play sport are very limited. Every Friday, the nursery classes are taken on to the back field and the teachers get them doing many different physical activities. Due to the wide range of equipment that was sent on the container, these activities are varied each week. First of all, it is great to see how much the kids enjoy taking part in the sessions, from simply catching a bean bag or doing star jumps to more exciting activities such as parachute games, there are always giant smiles on the kids’ faces. Secondly, it is great to see how much the kids are progressing, how a few weeks just practising catching a bean bag can help their hand-eye coordination and how trying and failing and trying again at skipping they can pick up the skill and jump when the rope comes around. Although these may seem very small, they are very important in the development of the children. It is also lovely to see how patient the teachers are with the kids and how much they clearly care. It has been really enjoyable showing the staff the different range of activities they could do with the kit we had available. It was lovely to see, towards the end that the staff were adapting what I had shown them and coming up with their own ideas. They hopefully now have the confidence to get the kids more active and out of the classroom more often. On a Friday afternoon the primary students were also taken out to the back field and introduced to some new and varied sporting activities. The students were split into small groups and taken to different activities by the teachers. Again, they became really engaged the different activities and really enjoyed doing things that they wouldn’t usually get the opportunity to do. Football is the biggest sport in Rwanda and it’s not just the boys who love it. At the Meg Foundation we try to encourage the girls and boys to participate. The girl’s team have not played any matches yet but they still seem very keen to learn and are training on a Saturday afternoon after dancing. Finding teams for them to play against is difficult because football is still very male dominated in Rwanda. Hopefully in the future this is something we will be able to arrange for them. The boys on the other hand also train after dancing on a Saturday and have played many matches. There don’t seem to be any formal leagues in the local area that the team can join, they just seem to find a local team, arrange a location and a time and then play (although teams are frustratingly nearly always late and often have older boys in them)! Their results are mixed, with big wins one week and big losses the next, but they seem to really enjoy it and they are very grateful for the kit and boots that people have very generously donated to them. They will happily walk to their matches wearing their orange kit and would no doubt wear it constantly if we didn’t get them to wash it and then return it to the school. Coaching football was one of the most enjoyable parts of my time in Rwanda. The kids were all so keen to play, that often it was my fitness that meant we had to stop and go for a water break; they would have happily carried on all day in the searing sun! I managed to watch them play quite a few games but there were many more frustrating days where we would walk for up to two hours to a football pitch, wait around for another hour only to find out that the opposition were not coming. Although it was very annoying, it did show how much football means to them that they didn’t give up and they would be back there the next week waiting for the same team to turn up. Cricket is a relatively new sport to Rwanda but it is starting to grow in popularity. The school was very lucky to have an International Rwandan cricketer come to coach at the school. “Tall” Eric is one of the star players for the current Rwandan side and works for Cricket Without Boundaries (CWB), going into schools and coaching the next generation of players. The students thoroughly enjoyed his visits and quickly started to pick up some of the skills required for playing cricket. Eric and CWB are very keen to develop cricket further and are developing a programme that will hopefully include the Meg Foundation. Although football is the main sport in Rwanda, other sports are starting to become more popular and are receiving government support. One of the new sports that the senior students who left Meg Foundation last year have been playing is basketball. 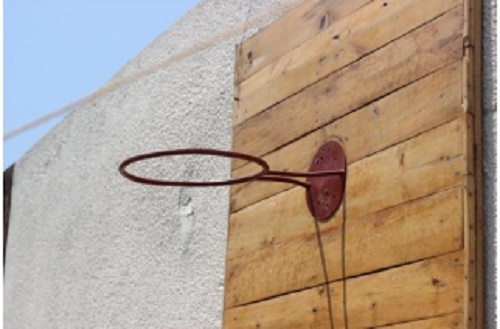 They were delighted then, on their return to Meg Foundation during the holidays, to find a basketball hoop had been put up. They were also very keen to show off the new skills they had mastered whilst being away, even if they don’t fully know the rules yet! The new hoop has also sparked an interest in the older primary students, with even the most keen football players happy to have a go at the new sport. The thing I will no doubt miss the most in the next few months is the time spent on the small play area behind Meg Foundation. Whether it was running around with the kids at break, teaching the nursery students to catch a bean bag or coaching/ playing football with the primary kids it was incredibly rewarding and fun! I am now back in the North of England, with many stories to tell and wonderful experiences to pass on to the children I teach. The Meg Foundation and the all the people involved in it have touched me deeply and I look forward to supporting the Foundation in the future.